There are various methods for killing mice in urban areas, other than using the traditional mouse trap. The primary method for prevention of mice infestation is to make sure they don't have access to a food supply. No food, no mice. Another method promoted by some individuals is that there are certain odors that mice do not like, such as peppermint oil, basil and onions. If you already have mice, but don't want to kill them, there are humane traps you can purchase. When prevention and humane methods don't work, the time may come for less humane ways that result in death for the pesky little rodents. 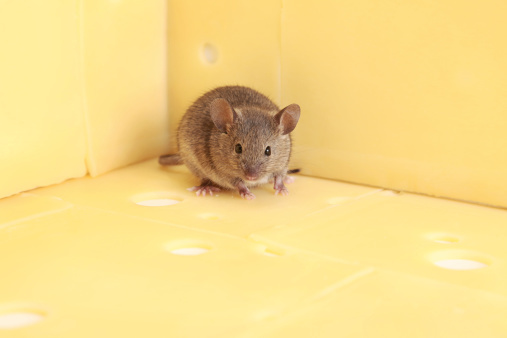 Mice can cause damage to your home and spread disease. Buy or adopt a cat. Cats are a natural enemy of mice, although not every cat will kill mice. Should you choose to obtain a cat, try to find one that is a "mouser" – trained to kill. Keep in mind that cats require love, attention and care, so be prepared to commit time to them. Put lids or saucers of soda or beer in the high traffic areas of the mice. Because mice are unable to expel the gas that carbonated beverages produce, their little bellies will swell and cause them to die. You may wake up to find dead mice, but this method is less "messy" than some other methods of extermination. Buy a trap. 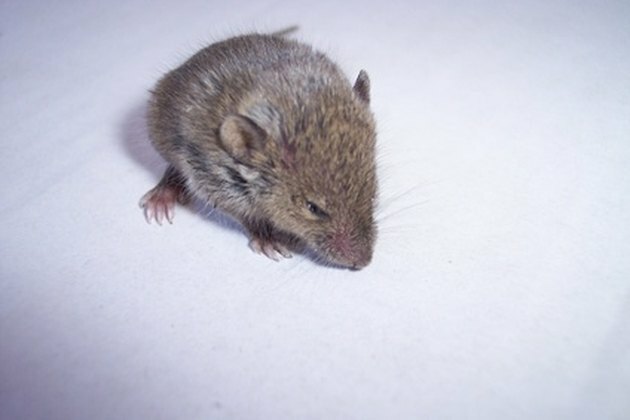 There are several types of traps on the market for killing mice, some of which can be more humane in their killing method than others. Although the traditional mousetrap with the metal clip seems cruel, it can kill the rodent quickly. The sticky traps, which look like boxes with a sticky substance on the inside, can leave the mouse alive, but stuck and terrified. Some mice have been known to tear off their own fur, or worse, to set themselves free. Should you choose the traditional trap, use food to bait the trap that mice find irresistible, such as peanut butter, chocolate or pecans. Set out saucers of plaster of paris or cement mixed with cornmeal. This method is similar to the soda and beer method.The mixture will make the mouse thirsty, so leave a saucer of water nearby. After eating the mixture and drinking the water, it will harden in the mouse's stomach and the little creature will die. Purchase mouse or rat poison. There are several brands of mouse poison on the market. They are made to be placed in the mice traffic areas for the mice to eat. After one or more meals, the mice will die. It is important to not leave poison around if small children or pets could get access to it. Explore and try one of the many technological advances in rodent defense. There are new devices on the market that claim they can prevent or kill mice, such as ultrasonic devices that repel with sound waves and electronic zappers that shock and kill the rodents. Both of these items seem to have mixed results.